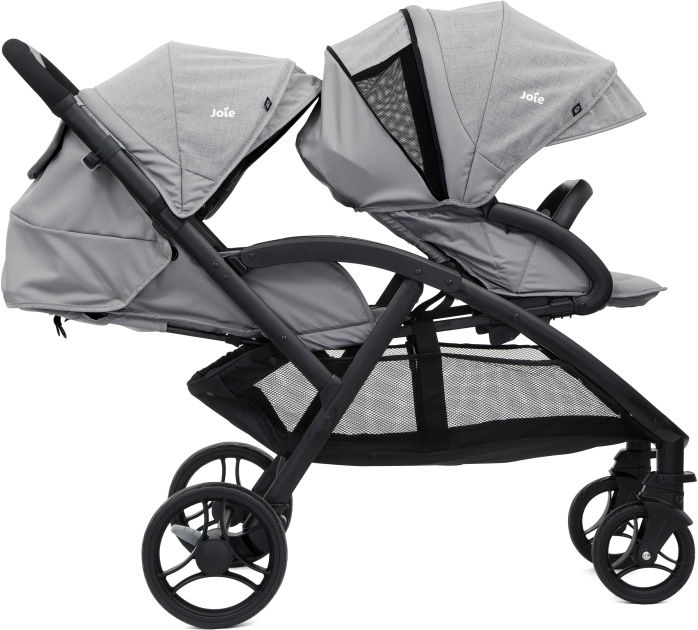 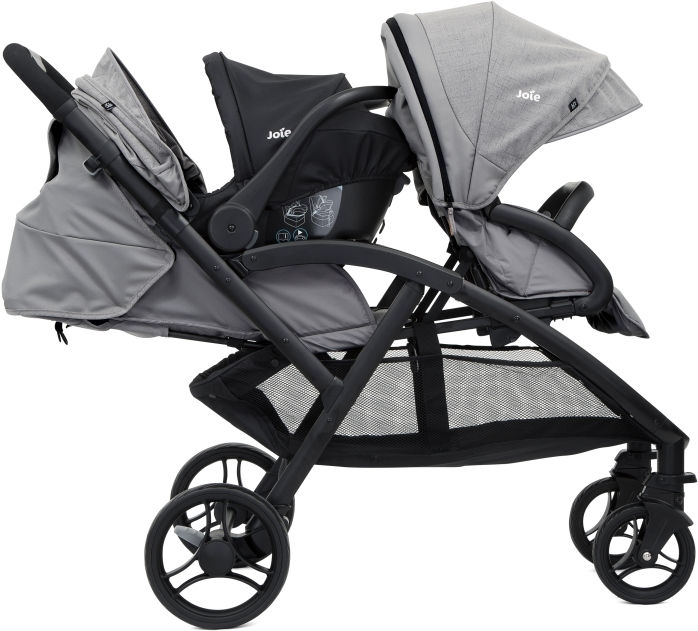 The Evalite Duo double stroller is a super light-weight and like this avoids useless trouble on trips, so that a day outside with two kids also makes double fun! With only 10 kg the Evalite is one of the lightest strollers in its league and also can be folded into a very compact size so that it fits also into the smallest cars without problems! 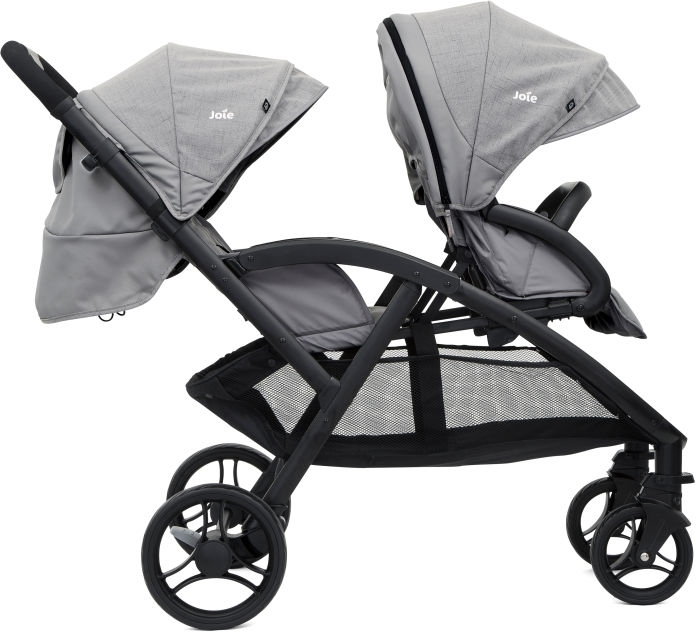 The two seats are identical with several lying positions and you can combine a Joie baby carrier for the smalles kids. 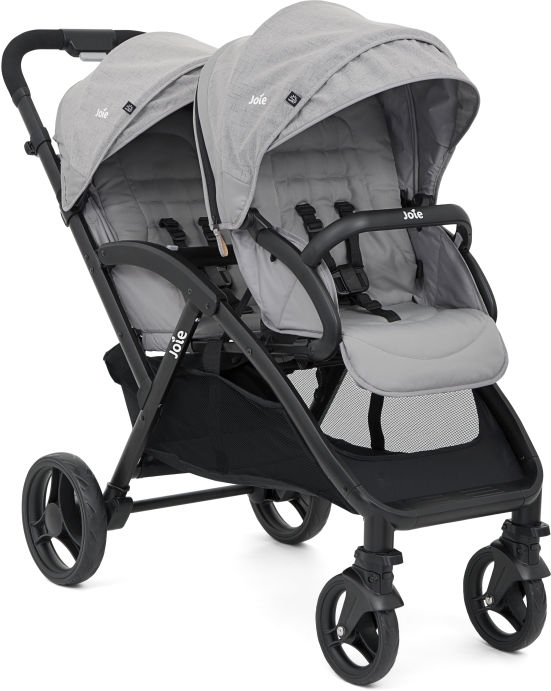 So like this the Evalite offeres everything you need when you want to spent a day outside with your little loved ones!